Eve Vaughn, Romance Author » Blog Archive » Rose, Exposed – What Makes a Good I/R | Multicultural Heroine? This entry was posted on Monday, April 1st, 2013 at 1:00 am in Guest Blogger. You can feed this entry. You can leave a response, or trackback from your own site. What about a story about Creoles in Louisiana, New Orleans. I have not read Plucking the Pearl yet, sorry to say that. 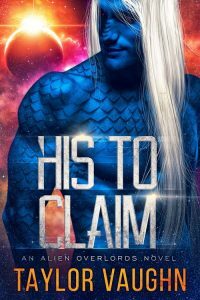 It is on my TBR list. I enjoyed the blurb and excerpt for your new book. The heroine should be strong, and believe in herself, because if she doesn’t no one else will. She may may silly choices along the way, but never one that will make her be viewed as being weak. If she is going to be in an I/R relationship, she has to have the strength to withstand all that comes with it. New Orleans is a great setting, Wanda, and one I’m thinking about for future books. Thanks for stopping by! 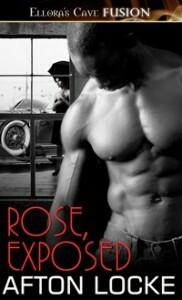 The Rose, Exposed blog tour is now complete. Thanks to everyone who commented! 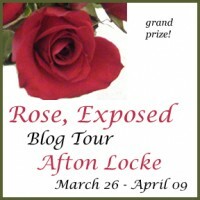 See http://www.aftonlocke.com/roseexposedtour.html for links to all my posts.